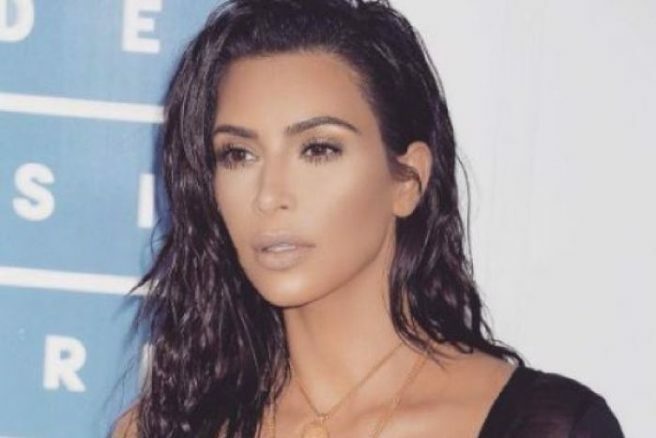 Kim Kardashian opens up about baby no.4: ‘Enlightened and calm’ | SHEmazing! Kim Kardashian-West announced in January that she is expecting her fourth child with husband Kanye West via surrogate. Their incoming addition will join their three children North (5), Saint (3), and Chicago (1). Kim appeared on The Tonight Show last night, and in a clip obtained by E! News, she gave some details about her state of mind ahead of welcoming her 4th child. ‘I heard that parents of four are the most enlightened and calm of all parents, she told host Jimmy Fallon. Jimmy then shared that he feels stressed out by his two children, and blamed the minimal sleep he now gets as a parent as a stress factor. ‘You just don't sleep anymore…ever,’ he exclaimed. Kim admitted that she found adjusting to having a second child was the most difficult for Kim, a bigger change than welcoming her third. ‘I felt the huge change—from one to two felt like one to 20,’ she said. However, Kim expects that welcoming her fourth child will help to evenly distribute the parenting duties between herself and husband Kanye. Kim previously did not have the chance to announce that she was expecting her 4th child via surrogate. The information was leaked after Kim got drunk over the holidays and let the happy news slip to multiple people. ‘I got drunk at our Christmas Eve party and I told some people,’ she divulged in an episode of KUWTK. Following rumours which were rampant online and on social media, Kim admitted the family was expanding again during her appearance on Watch What Happens Live. Kim and Kanye are expecting a baby boy, who is reported to be due in May.